3. 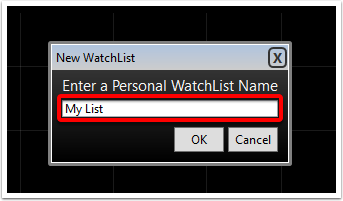 Create a name for your Personal Watchlist. 5. Click on the Add Symbols button to add symbols to the Watchlist. 6. 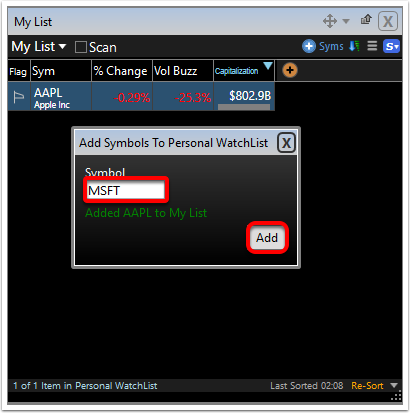 Type in the symbol you would like to add. 8. 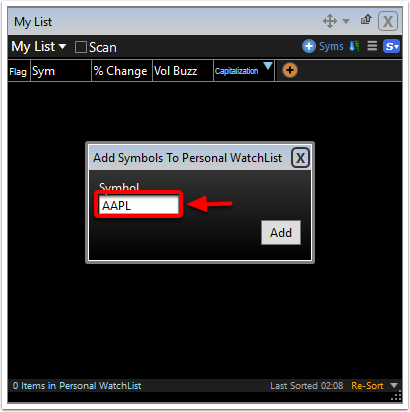 Add more symbols by repeating steps 6 and 7. 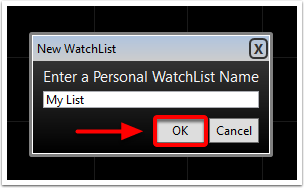 Changes to watchlists are automatically saved. 9. 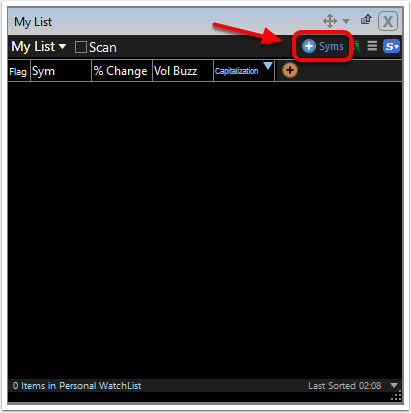 Once you are done adding symbols click the close button to remove the add symbols window. 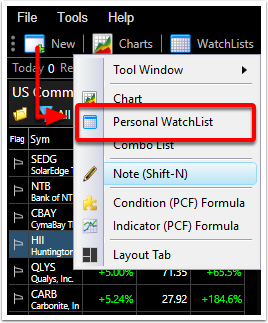 You can also create a new list by clicking the Watchlist button on the main menu. 1. Click on the Watchlist button.